An adult or child is baptised in his or her own Parish Church. 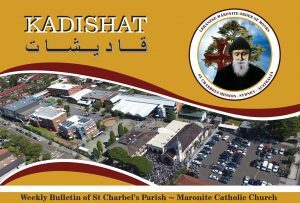 Residents of St Charbel’s Parish wishing to arrange a Baptism should contact the Parish Office on 9740 0998 any day of the week between 9.00am and 4.00pm. After confirming the baptism date, a request for baptism form should be filled and returned to the parish office. A PDF copy of this form is available below.